A homeless man has allegedly held up and robbed a Portland bank for $1, then sat down and waited for police to arrest him so he could receive healthcare in prison. 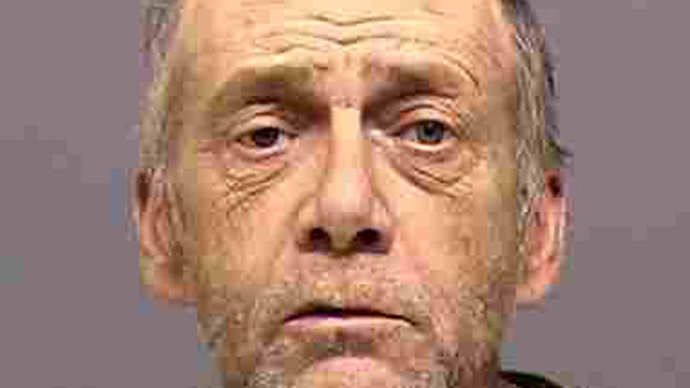 Timothy Dean Alsip, a 50-year-old homeless man, was arrested by the Clackamas County Sheriff’s Department and thrown in jail on suspicion of second-degree robbery. Deputy Mark Nikolai, spokesman for the sheriff’s office, told the Oregonian that the homeless man entered a Bank of America on the morning of Aug. 23, where he approached a teller with a note demanding $1. Holding the $1 bill, Alsip waited in the lobby of the bank until police arrived and arrested him. He was originally charged with both second-degree robbery and third-degree theft, but his robbery charge was later dismissed. His bail was initially set at $250,000, but later reduced to $40,000. Alsip allegedly told police officers that he ‘robbed’ the bank so he could receive medical care in jail. The 50-year-old homeless man has no previous criminal record, but has recently showed signs of desperation to get help. Alsip asked strangers for assistance and on multiple occasions called 911 on himself, complaining of various imaginary problems, such as being hit by a car and overdosing on drugs, CBS Seattle reports. “His behavior today is consistent with the behavior he has displayed over the last week,” Nikolai said. Alsip isn’t the first homeless man to intentionally get himself arrested for medical care: two years ago, an unemployed North Carolina man robbed a bank for a dollar, hoping to to receive free healthcare in prison. Richard James Verone, a 59-year-old man who was suffering from numerous health problems at the time of his arrest,demanded that a bank teller in Gastonia, N.C., hand over a $1 bill. Verone later told reporters that he was hoping for a three-year prison sentence, which would allow him to get the back and foot surgery he needed, as well as shelter until he was old enough to collect Social Security checks. Although the man only robbed the bank for a dollar, the cost of jailing someone for one year in North Carolina is an estimated $23,000, plus legal fees. For those who have crippling health conditions and nothing else to lose, the prospect of going to prison is sometimes appealing. If an inmate at the Federal Bureau of Prisons has a health condition that cannot be treated by prison doctors, the inmate is sent off to an outside hospital. Some end up in world-class facilities like the Minnesota-based Mayo Clinic, according to the Daily Beast. In Oregon this week, the Clackamas County Sheriff’s Department is trying to find out more information about the Alsip and is urging anyone who knows or has encountered the homeless man to contact the office. Alsip is scheduled to be arraigned on Monday. A third-degree theft is a Class C misdemeanor, which can result in a maximum jail term of 30 days and/or a maximum fine of $1,250, meaning Alsip’s time in county jail will most likely be short-lived.